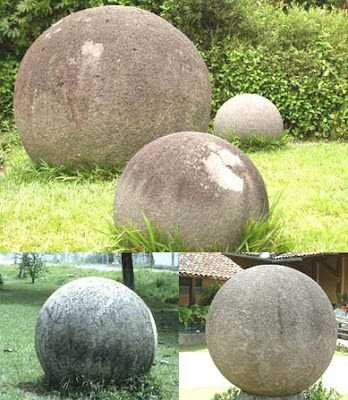 In Costa Rica (1930), these mysterious stone balls locally known as “Las Bolas” were discovered, some people say that they have something to do with Atlantis, others mention that The balls were most likely made by the ancestors of native peoples (Chibchan) who lived in the region at the time of the Spanish conquest. However, none of these theories is correct .Once again the Masters of Light have unveiled this mystery. Interlocutor: I move on to another topic that I have scheduled to ask and it’s related to the stone balls of Costa Rica. Interlocutor: Was their purpose similar to the signals of Nazca and Stonehenge that is to say radioactive signals to indicate their partners where they were or to mark a route? Interlocutor: Where did these extraterrestrials come from? Interlocutor: Obviously they are no longer here. Interlocutor: When did they come more or less? Ruanel: At least 1000 years ago. Interlocutor: Didn’t these stones have any other purpose than the one you mentioned? Ruanel: No, that was their only purpose. Interlocutor: Such a big intrigue for something so simple! Would it be something more to add? Ruanel: No, about this the spheres that’s all. : The star Agena, known also as Hadar, (β Cen / β Centauri) belongs to the constellation of Centaurus. This entry was posted at Friday, August 14, 2009 and is filed under Extraterrestrials . You can follow any responses to this entry through the .